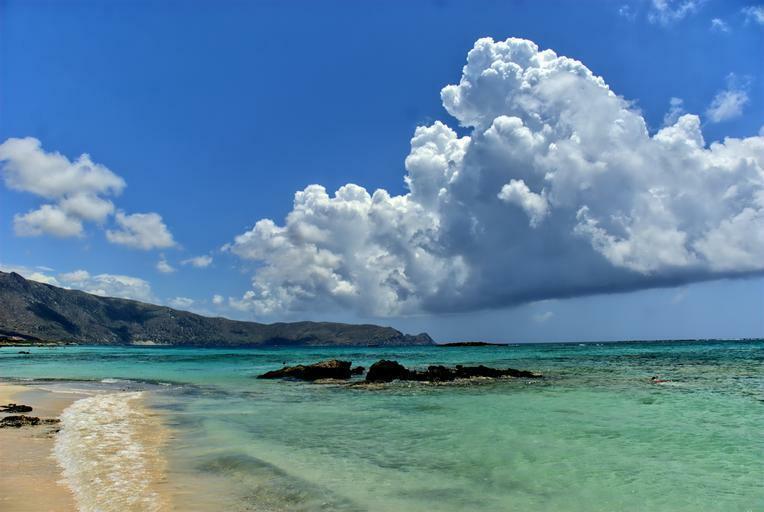 Choosing the best beaches on Crete is an impossible job, as Greece's largest island has hundreds of them. 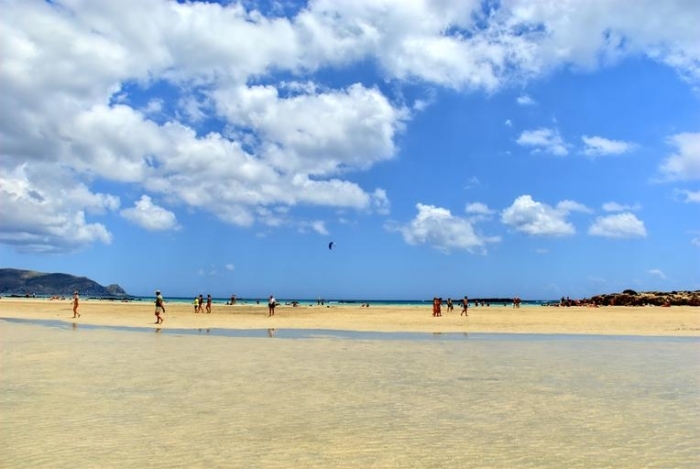 Some are always incredibly busy, and you can't blame people for flocking to the beautiful settings of beaches like Vai and Elafonisi, on opposite corners of the island. You can also find quiet coves and little beaches down tracks, which you can enjoy in solitude. You'll have to find those for yourself, though. Here we've listed our top ten personal favourite beaches, that are either extremely scenic or have some unusual feature about them. 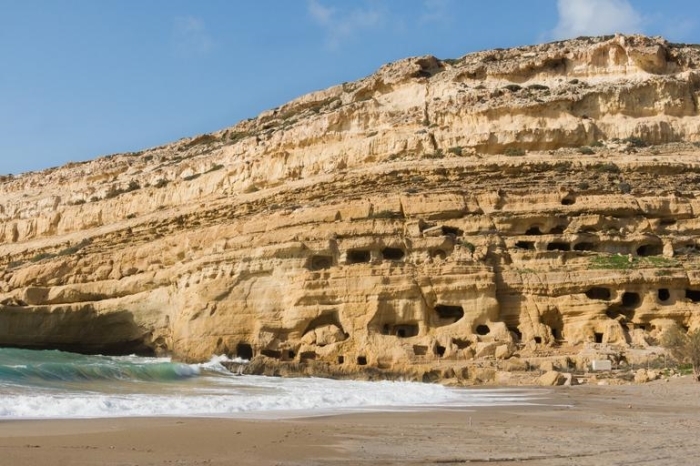 We list our top ten Crete beaches in strictly alphabetical order. The long strip of beach has more rocks than sand, but is pleasantly lined with tavernas. Although the town can get busy it is a real delight off-season. 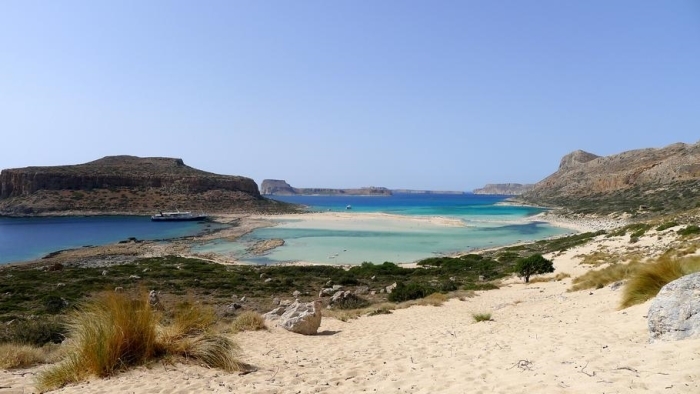 This beach by Balos Lagoon is one of the most photographed on the island. 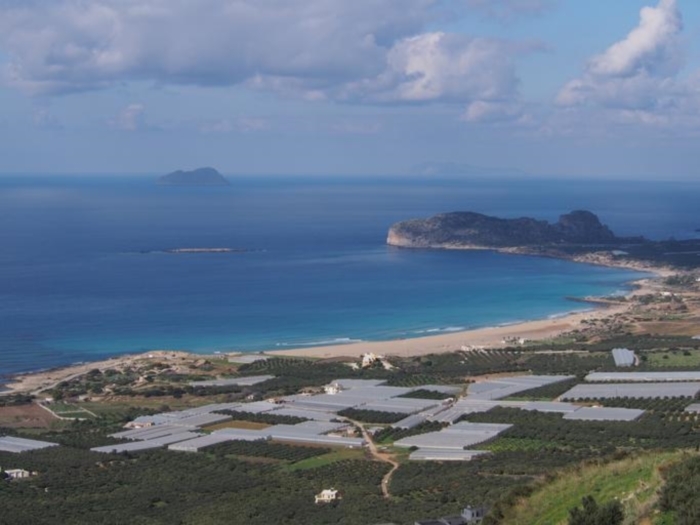 It's about 56 kms (35 miles) northwest of Chania and has soft white sand and a Caribbean feel to it. 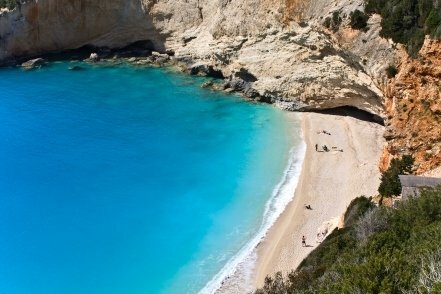 The vast beach here has even been called the best beach in Greece. It's usually busy but there's acres of space on its mix of pink and white sand. Lots of shallow waters too. It's in the southwest of the island, just over an hour's drive west of Palaiochora. In the northwest corner of Crete, this soft sand beach has plenty of facilities including windsurfing in summer. It's actually made up of five different beaches, and has been voted the best beach on Crete and even one of the best in Europe. This long sandy beach is one of the best close to the town of Agios Nikolaos. It's usually busy but it's also big and has beautifully clear water. There are several other beaches nearby, both sand and pebble, so you can choose between them. Mátala’s fabulous beach is wide and curves around the bay with taverna balconies jutting over the sand and the town's caves to explore nearby. With its long, wide beach backed by tamarisk trees, Plakiás is a terrific south coast retreat. A long curve of sand sweeps away at the eastern end of town, and there are more good beaches if you continue along the coast to the west. 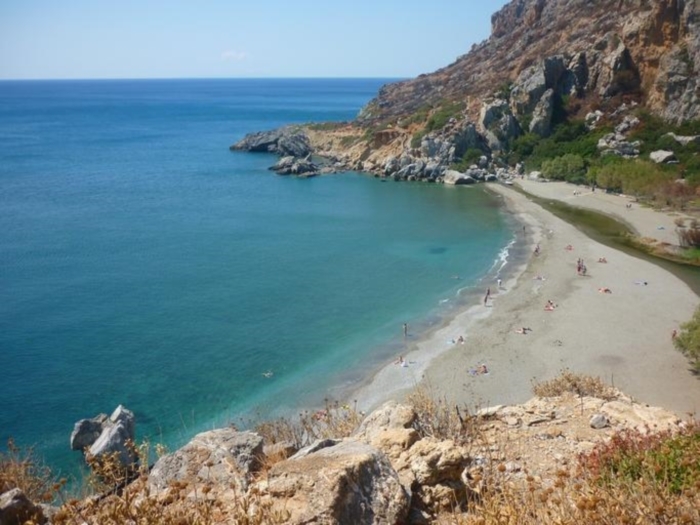 This lovely sandy beach is near the monastery of the same name, at the foot of the Kourtaliotikos Gorge. Here a river flows into the sea, and the beach is backed by palm groves, giving it a tropical feel. Don't forget to dress respectably if you also plan to visit the monastery. 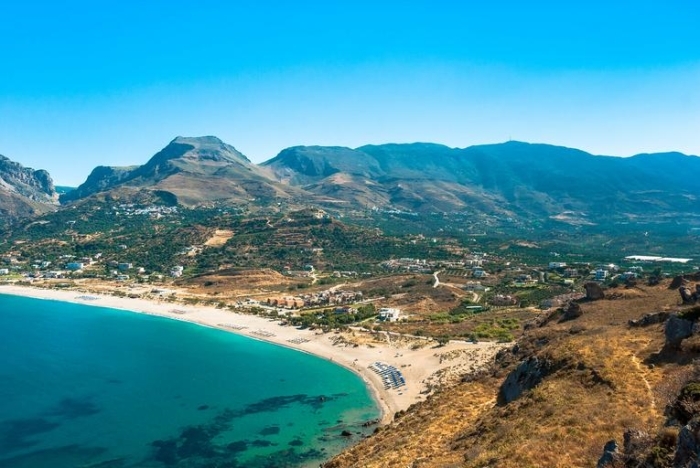 Crete's third-largest town, Rethymnon, has one of the best long beaches on the north coast, running for several miles. There are numerous other beaches within easy reach, too, both east and west of the town. This stunning beach is backed by the biggest natural palm forest in the whole of Europe, which gives it a North African feel. It's easily the best beach in eastern Crete, and one of the best on the island.